Hydrate, smooth and nourish your hair with an Amika conditioner. Known for their professional quality and bright, funky packaging, Amika products are beloved by clients all around the world. 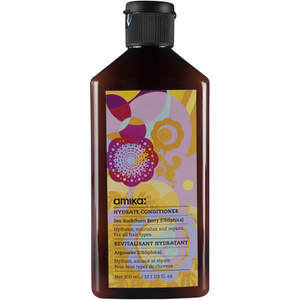 Try out the Amika Hydrate Conditioner to restore moisture to dry or damaged locks. Discover the brand today with RY.